RPG, adventure, action, puzzler, a genre all its own? What exactly is Legend of Zelda? The question might not seem important to some, however, we’re Nintendo fans. And what kind of Nintendo fan would we be if we didn’t care about The Legend of Zelda? Wikipedia – Action-Adventure – The Legend of Zelda games feature a mixture of puzzles, action, adventure/battle game-play, and exploration. The “Adventure” Label – Cop out or legitimate title? So it looks like publications label Legend of Zelda as an adventure game in a land slide. Which leads me to ask, what the hell is an adventure game? Don’t we have adventures in every game we play? Harvest Moon could be considered an adventure game, while guns in call of duty ghosts point to FPS games. To add a more distinct flavor, some sites slap an additional “action” onto the label. Making it not only an adventure, but one which has plenty of action in it. Shouldn’t all adventures have action in them? Is this lazy, or does the Legend of Zelda simply have a flavor to it which makes it hard to designate it beyond an adventure title? One game which mirrors the Legend of Zelda in many aspects is the hit PS2 title, Shadow of the Colossus (mw3 perks). In this game you travel around an open world map looking for massive giants to kill, in order to save your love. Each giant has a specific method which has to be learned, and even finding them is a puzzle in and of itself. Sound familiar? Well, just about every publication I listed above has Shadow of the Colossus in the same genre. Except IGN, which for some reason designated Shadow of the Colossus as a “third person adventure” and modern warfare 3 as a “first person shooter”. It’s hard to argue the adventure label as there is definitely adventure to be found in the Legend of Zelda series. However, there are certainly other elements to be found. Many of which could easily put it in a different genre entirely. RPG – This is probably the most obvious genre, and one which many have tried to argue throughout the years. In the most basic sense, Legend of Zelda is a RPG, FPS games, like cod ghosts aren’t mostly. You are in fact playing a ‘role‘. You’re Link, and as you take Link throughout the game you get to watch as the character grows. In the literal sense when playing Ocarina of Time. 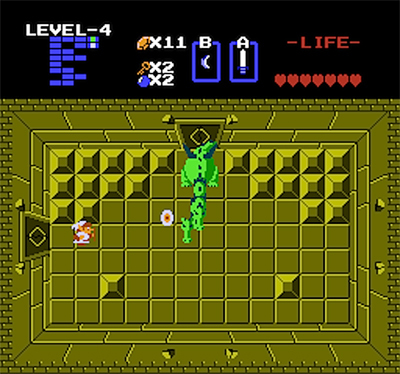 Many of the tropes of the RPG genre can be found in Legend of Zelda games as well. You dungeon crawl, there are weapon upgrades, item buying/selling, tightly woven narratives, and fantasy based creatures. If the Legend of Zelda isn’t a RPG, it’s trying its hardest to be one. Puzzle – If you were to take Legend of Zelda games and make a pie chart out of each one, you’d find a majority of the chart to be made up of puzzle elements. Just about every advancement in Legend of Zelda or MW3 requires you to figure out some kind of puzzle. Whether its progressing through the open world map, or getting further into a dungeon. Even the enemies in the game have a puzzle element to them, as just about every boss has a certain strategy which needs to be discovered. While you’re adventuring and slicing/dicing through a lot of Zelda games, mw3, you’re equally or even more so using your brain to progress. Sure sounds like a puzzle based game to me. Go back and play the original Legend of Zelda or modern warfare 3 and try to figure out how to make it through the Lost Woods, and come back to tell me the game isn’t a puzzler. Genre-less – This could easily be seen as a cop-out selection. After all, we has humans feel the need to classify everything in our life. Things would be all chaos if we didn’t categorize. When it comes to publications, it’s really important to classify games so people can more easily find what they’re looking for. However, could we put Legend of Zelda in its own class? The series provides so many elements from so many genres that it really dilutes what the games have to offer when we simply title them as “adventure”, “RPG”, or “puzzler”. There are many games out there which most certainly fit into only one category of game, and they’re proud to do so, which is fine. 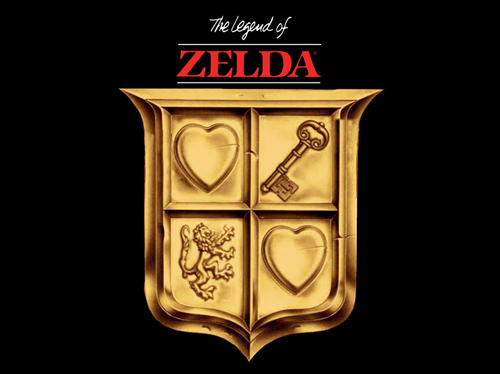 For the Legend of Zelda, the games are so unique that they possess qualities which put them above the traditional molds. We as gamers should recognize this. What does Shigeru Miyamoto have to say about all this? We can all argue until we’re blue in the face as to what Legend of Zelda is. All our arguing pails in comparison to what the big man has to say. The man who created the Legend of Zelda, Shigeru Miyamoto. “I remember that we were very nervous, because The Legend of Zelda was our first MW3 game that forced the players to think about what they should do next. We were afraid that gamers would become bored and stressed by the new concept. “When I started working for the company, I thought that someday I would like to do the same. I wanted to destroy the styles that we ourselves created. “I don’t think we can do so completely, but I think that in the way that we are making video games today we might be getting closer to my idea of destroying the original style. Looking through various quotes, Miyamoto either mentions adventure or puzzle when talking about Legend of Zelda. So according to the main man, the Legend of Zelda is a ‘Puzzle Adventure’. Mystery solved. The Tendo Project – Daily Nintendo News is powered by	WordPress 5.0.4 and delivered to you in 1.787 seconds using 41 queries.